Inspiring Messages, "Live for the thrill!" Bringing inspirational and motivational short programs (ranging from 15 min. to 2 hours) helping clients reach their hidden greatness and define their legacy. Several speaking topics, along with a variety of custom presentation options to select. Scott Gottschalk was not only an Agriculture Education Instructor, but for more than thirty years he has served as an International Consultant. He has globe-trotted across all seven continents, including Antarctica and more than fifty countries providing services in exotic locations such as Siberia Russia, Uganda Africa, Lebanon, and Afghanistan. 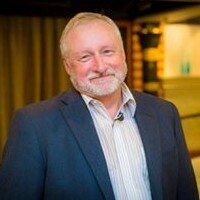 Experienced in live audience communications, Scott has captivated audiences across our planet with his motivational and passionate inspirational messages. He has written three books including, THE FOLK AND THEIR FAUNA and NINE LIVES TO ETERNITY both of which leave a positive and uplifting impression. Find out more about Scott Gottschalk at http://www.Scottdgottschalk.com.